The Red Devils got swept by South Side, losing 6-5 on a walk off single in the bottom of the 7th inning. Plainedge was down 3-2 in the 6th inning, when DJ Kregeloh hit a bases loaded clearing double to put Plainedge up 5-3. In the bottom of the 6th, Plainedge let up 2 runs to tie the game, and with 2 outs in the 7th, let up the winning single to end the game. 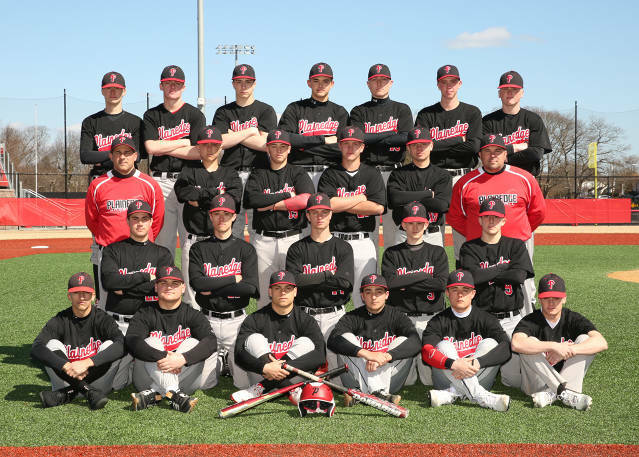 Plainedge will look to rebound on Monday as they open a 3 game series at Hewlett. The Red Devils lost their 2nd game in a row to South Side, both by 1 run. Frank Whitenack started for Plainedge, and pitched 7 innings, allowed 2 earned runs on 7 hits, walked 1 batters, and struck out 11. Whitenack also went 2 for 3 at the plate, with 1 run scored. Anthony Labita hit a run single in the 4th inning to bring Plainedge within 1 run. Labita then led the 7th off with a walk, and stole 3rd base with 1 out, but Plainedge couldn't get the run across. Dom Tuozzo will start for Plainedge tomorrow as they try to avoid getting swept by South Side. The Red Devils did not start the game well, and it ended up costing them. In the bottom of the 1st inning, Plainedge committed 2 errors on the first 2 batters of the game. After a single loaded the bases with nobody out, Zach Zarra started a 5-2-3 double play which gave Plainedge the opportunity to escape the jam. A wild pitch by Nick Incalcaterra allowed the only run of the game. Incalcaterra settled in, and got better as the game went along. Nick threw 6 innings, allowed 1 unearned run, 2 hits, 1 walk, 1 hit batter, and struck out 3 in the loss. At the plate, Anthony Labita was the only offense on the day. Anthony went 2 for 3, with 2 doubles, which were Plainedge's only 2 hits for the game. 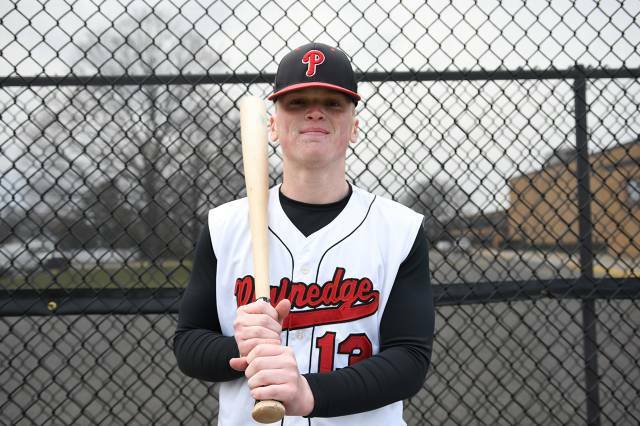 Frank Whitenack will get the ball tomorrow as Plainedge looks to even the series at 1. Plainedge takes the Series from Bethpage!!! In game 3 of the Plainedge Bethpage series, Dom Tuozzo got the start on the hill for the Red Devils. Before they could even blink, the score was 1-0 Bethpage as their leadoff batter hit a HR on the 1st pitch of the game. Tuozzo would allow another run later in the inning, falling behind 2-0 early. In the bottom of the 1st inning, DJ Kregeloh got a 2 out single. Zach Zarra then sent a ball to the track to tie the game at 2. After taking a 3-2 lead, Bethpage came back to take a 4-3 lead heading into the 5th inning. Dom Tuozzo left in the 6th inning with 0 outs, and a runner on 2nd base. Mike Schock entered the game, and walked the first 3 batters he faced, putting Plainedge down 5-3. Schock was then able to strike out the next batter, induce an infield fly, and then struck out the final batter of the inning to minimize the damage. Plainedge then rallied in the bottom of the 6th inning, with Pepe leading off with a walk, Joe Leone hitting a single, and Chris Gentile working a walk. Tom Caltobiano came up with the bases loaded and hit a pinch hit RBI single to tie the game at 5. The Red Devils would score 5 more runs that inning, topped off by a 2 run single off the bat of Zach Zarra, who finished with 4 RBI's on the day. The Red Devils will square off with South Side next week, in a 3 game series, that will be played Monday, Tuesday, and Wednesday. The Red Devils answered the call after losing 8-2 yesterday to Bethpage, coming back and winning 2-1 in a nail biter. Frank Whitenack got the start for Plainedge, and let up a leadoff HR to start the game. He would then settle in, and not let up another hit until the bottom of the 7th inning. Whitenack closed the door down, and finished with a stat line of 7 Inn's, 3 hits, 4 walks, and 5 K's to earn the "W". Donavan Pepe got Plainedge on the board with a single to CF scoring DJ Kregeloh. Anthony Labita then scored the go ahead run in the 5th inning by an error by Bethpage's left fielder. Doug Elsesser made the defensive play of the game, throwing out the potential tying run at Home plate in the bottom of the 7th inning to preserve the win. Plainedge will look to win the series on Thursday, at home, with Dom Tuozzo getting the start. 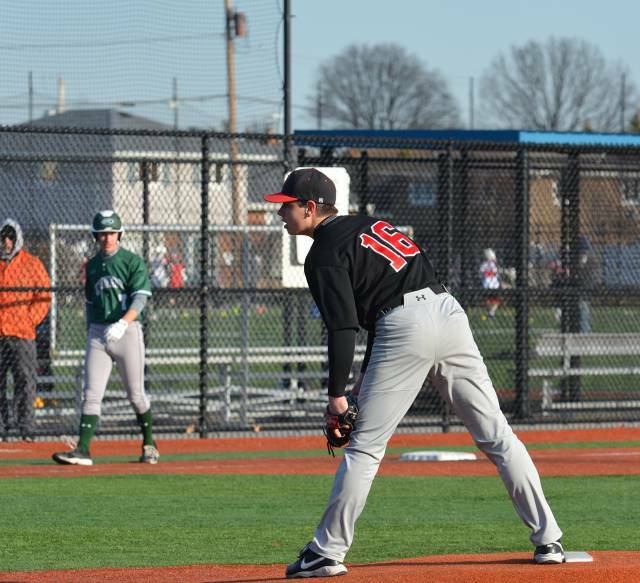 The Plainedge Red Devils opened their League Season with a 3 game series vs Bethpage today at home, and lost 8-2. Nick Incalcaterra started on the hill for Plainedge, and struggled out the gate. Nick lasted 4 1/3 innings, allowed 8 runs, 7 earned, on 6 hits, 2 walks, and struck out 4 batters. At the plate Doug Elsesser led the way, going 3 for 4 with 1 RBI. Frank Whitenack will get the start tomorrow in game 2. Dom Tuozzo got his 1st career start at the Varsity level, and earned his first career Win. Tuozzo pitched 5 scoreless innings, allowed 2 hits, 2 walks, and struck out 12 batters for Plainedge. Anthony Labita led the game off with a solo HR, and Donovan Pepe topped the inning off with a 3 Run HR to deep CF. DJ Kregeloh and Zach Zarra each hit HRs as well for the Red Devils. All 4 HR's were their first career Varsity HR's for Plainedge. Plainedge will kick off their league season this upcoming Monday, at Home vs cross town rival Bethpage. The Plainedge Red Devils lost 5-2 to Mepham, in a Non-league game. Nick Inclaclaterra started for Plainedge, and went 5 innings, allowed 4 earned runs, 6 hits, 1 walk, and struck out 7 batters. Mike Schock pitched a scoreless 7th inning in relief, striking out 2 batters. At the plate, Nick Incalcaterra hit a 2 run single for the only RBI's of the game. Plainedge will finish their Non-league game on Thursday, vs Seaford. The Red Devils lost 12-1 to East Meadow, falling to 0-1-1 on the season. Nick Incalcaterra will start for Plainedge tomorrow as they face Mepham at home. The Plainedge Red Devils started their season off with a 4-4 tie in a Non-League game to Farmingdale. Nick Incalcaterra started for Plainede, went 4 innings, allowed 4 runs, 3 earned on 10 hits, striking out 2 batters. Frank Whitenack entered the game in the 5th inning, with the bases loaded and nobody out, and was able to escape without a run. He pitched 4 innings, allowed 1 hit, no runs, and struck out 3 batters. At the plate Anthony Labita led the way, going 3 for 5. Donavane Pepe, Joe Leone, and Nick Incalcaterra each had 2 hits for Plainedge. The Red Devils next game is another Non League game, at East Meadow on Monday.